We have raised the bar on clean-eating treats, providing the only handcrafted style no-bake cookies with pure ingredients on the market." The No-Bake Cookie Company, makers of America’s nostalgic, clean label no-bake cookies has announced a increase in their distribution by adding Sheetz, a leading convenience store chain to their existing list of 2500 retailers nationwide. In addition to the Sheetz expansion, earlier this month the TNBCC brand rolled out into Costco locations in the NW, offering an exclusive 24-ounce package. 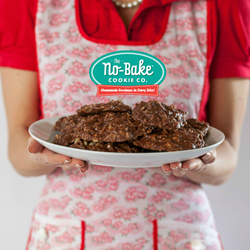 The No-Bake Cookie Co. has continued to see rapid growth nationally. “ We are thrilled to be bringing our cookies to the Sheetz customers.” Says founder, Carol Healy. Additional stores carrying the brand include Nordstrom Espresso Bars, Sprouts, Kroger Chains, New Seasons, Whole Foods, Lucky’s Markets, Fresh Thyme, Albertson and Safeway, with more expansion announcements coming soon. The Nostalgia of grandma’s kitchen with on-the-go convenience and the most natural of ingredients is what sets TNBCC’s cookies apart. “We have raised the bar on clean-eating treats, providing the only handcrafted style no-bake cookies with pure ingredients on the market, “ said Carol Healy. Sheetz, one of the nations leading convenience store chains operates 525 stores across 6 states, Pennsylvania, Maryland, North Carolina, Ohio, Virginia and W. Virginia. Sheetz was named Fortune Magazine’s 2016, 100 Best Companies to Work for.